Professor Tristan Yan is the founder and the Editor-in-Chief for the Annals of Cardiothoracic Surgery (ACS; www.annalscts.com). 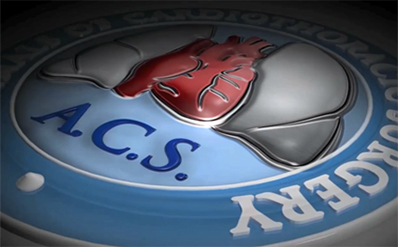 This journal reflects his unique vision in cardiothoracic surgery, in that ACS is a complete video resource of cardiothoracic surgical procedures that truly embraces today’s technological and multimedia environment. 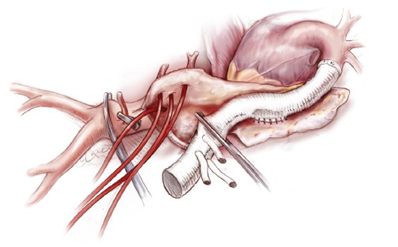 ACS (ISSN 2225-319X) is an international bi-monthly peer-reviewed publication, dedicated to the field of cardiothoracic surgery, with the primary aim of providing critical analysis and comprehensive overview of contemporary topics within the field. ACS has a unique format and publishes focused themed-issues. Each issue is overseen by an international authority on the topic in the capacity of Guest Editor. Its open-access format and broad international scope promotes greater access by a global audience, while its inclusion on indexing services such as PubMed and Google Scholar ensures superior targeted access by cardiothoracic surgeons. ACS publishes several high-definition, detailed, didactic operative videos by leading surgeons for each issue, which are an invaluable resource to complement written articles. Additionally, ‘how-to-do-it’ procedural articles, complemented by detailed illustrations from ACS’ professional artist, further enhances the educational value. ACS actively embraces the increasing significance of electronic media and handheld devices. Each full publication, including advertisements, is available free online as an e-book. ACS is also available for download and off-line viewing through its iPhone/iPad app. 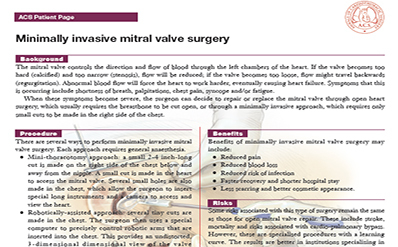 Finally, in addition to the full colored copies of journals delivered to over 2000 major cardiothoracic centers, directed electronic copies are also distributed to over 30,000 surgeons to ensure easy and widespread access by a global audience. Professor Yan has several other editorial commitments including Executive Editor-in-Chief (Cardiovascular Surgery) for the Journal of Thoracic Disease, Associate Editor (Cardiac Surgery) for the European Journal of Cardiothoracic Surgery and CTSNet Editor for Journal and News Scan section of the Cardiothoracic Surgery Network. He is an external reviewer of National Institute of Clinical Evidence (NICE) for Health Technology Assessment. He is also on the journal review board for 15 journals, including Annals of Surgery, Annals of Surgical Oncology, British Journal of Cancer, British Journal of Surgery, Cancer, Cochrane Systematic Review Protocol, and Heart, amongst others. 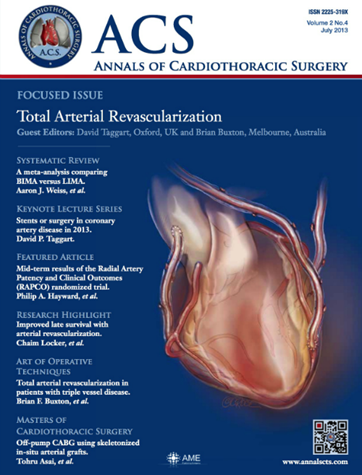 Please visit our official website for the Annals of Cardiothoracic Surgery (www.annalscts.com) for more information about heart, lung and aortic diseases.